Dr. Carl Maltese – Cardiovascular Associates, P.C. Dr. Carl Maltese attended the University of Florida in Gainsville where he received his Bachelor of Science degree in chemistry and his Doctor of Medicine. His honors included selection for the Alpha Omega Alpha Honor Medical Society. He studied general and vascular surgery under the direction of Dr. Michael E. DeBakey in Houston, and continued his training with Dr. DeBakey in cardiovascular and thoracic surgery. 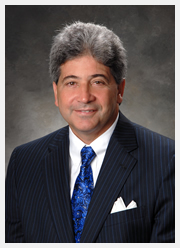 Dr. Maltese is a diplomate of the American Board of Surgery and the American Board of Thoracic Surgery. He is a fellow of the American College of Surgeons and the American College of Chest Physicians.